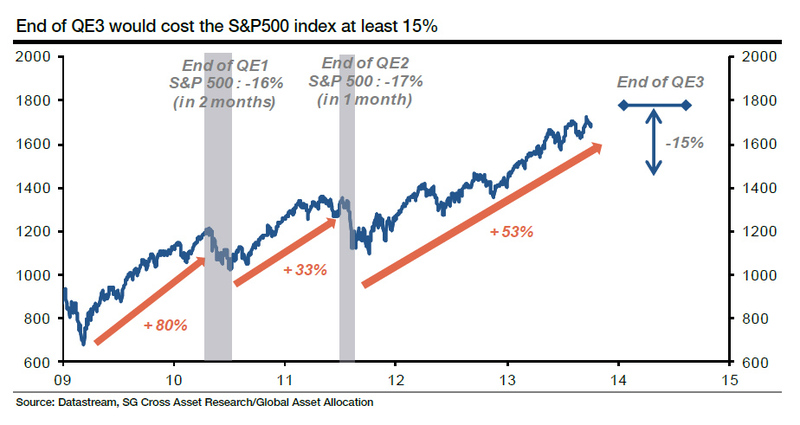 Credit Suisse have earlier estimated that the end of QE3 would cost the S&P 500 at least 15 %. The market has proceeded to advance beyond the market top set by CS. Remains to be seen if they are right when estimating the current down-side potential. This entry was posted in Uncategorized and tagged stock market corrections by brokenmarkets. Bookmark the permalink.